When lives are involved, you must have the best tools. As an investigator or security professional, you are under pressure to provide accurate and easy to interpret 3D scene documentation for court or pre-incident intelligence. 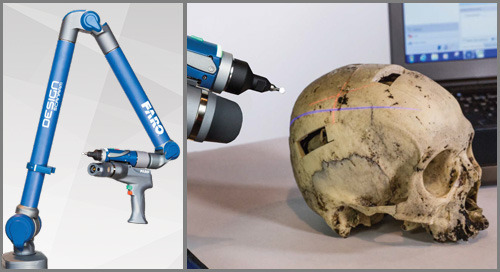 FARO® Zone 3D makes this part of your job painless with smart tools that are created for capturing a scene before or after an incident. 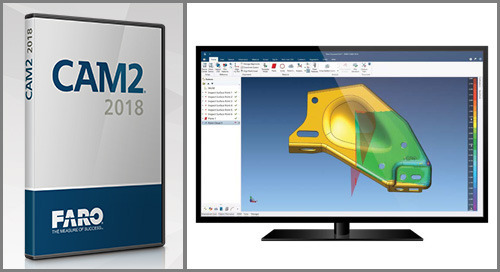 Use measurements from many different sources to analyze the scene, create accurate 2D and 3D diagrams, present compelling walk-throughs and animations. Being prepared was never this easy. This software can be used for various applications, including 2D and 3D diagramming for crash, crime and fire investigations, animation and analysis of forensic scenes, bullet trajectory, blood spatter and crash reconstruction, courtroom presentations, fire service and security pre-incident planning, diagraming for insurance risk control and loss control, training scenarios and more. 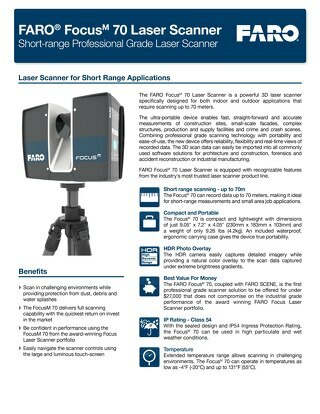 SCENE software is the most intuitive and efficient software for scan data processing and registration for all Focus, Freestyle and third-party laser scanners, for managing high-quality 3D data.